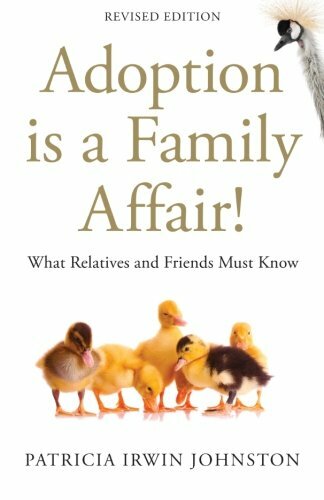 Categories: Adoption Parenting, Agency Essentials, Classic Adoption Books, Educating Others, Tapestry Picks, About Adoption. A child is coming – whether you approve or not it’s time to get with the program! If someone you care about – a family member, co-worker, or close friend – has recently announced that their family will be growing through adoption, you may have questions. After all, unless you have personally experienced adoption, you may know very little about how adoption works and what it means. Are you worried that your loved one may face disappointment? Do you find yourself wondering exactly what your role is going to be in the child’s life? Does the term “open adoption” confuse and concern you? Just what are the privacy boundaries for families built by adoption: what is it okay to ask about? Adoption Is a Family Affair! will answer all of these questions and more, offering you information about who can adopt, why people consider adopting, how kids understand adoption as they grow up, and more. This short book is crammed full of the ‘need to know’ information for friends and families that will help to encourage informed, happy and healthy family relationships.